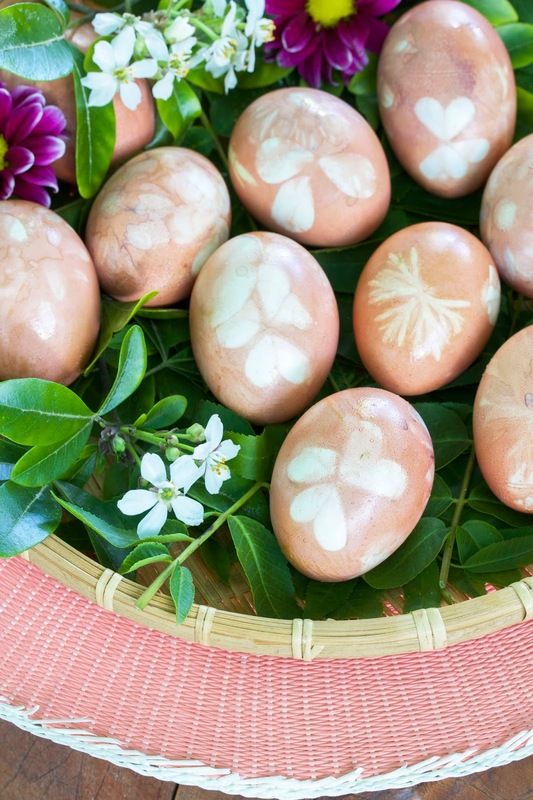 If you've been curious about making naturally-dyed eggs, this technique is a great way to start. I wanted just this color for my basket so used only yellow onion skins and soaked the eggs for 10 minutes. For deeper colors, add red onion skins, beets, or red cabbage and soak overnight in the fridge. Follow this link from Ciao Forentina for a video and recipe. So easy, the whole family can participate.